Thoughts on making work that matters through the practices of creativity, leadership, and productivity. Annual meetings are a tremendous opportunity to align your team on its priorities, deepen relationships, and strengthen a healthy and effective team culture. So, it’s a shame just how often leaders don’t take full advantage of the opportunity that their team retreat presents. The main problem is that when leaders are planning for these meetings, they usually only ask themselves one question: What should we do with our time? It’s not a bad question, but it’s certainly not the best question. Thinking only about this one dimension, simply dropping in content and topics to fill the time between the beginning and end of the days, is a recipe for a forgettable and largely unproductive experience. A team meeting is not an event to be planned—it’s a tool to be used. Instead of thinking about how to use the time, leaders need to think about what impact they want the time to have! 1. What do we want people to know? 2. What do we want people to believe? 3. How do we people to feel? 4. What do we want people to do? Question 1: What do we want people to know? I’ve been to more than one team retreat that had at least one full day’s agenda made up of nothing but department heads sharing department updates with lots of department slides leaving a little time left over for lunch, bathroom breaks, and frequent trips to the coffee station to keep everyone awake. What do we want people to know? is not the same as What is all the information that we could possibly share? Focus presentations on information that actually matters right now. If you want to include department updates, make sure presenters are aware of the broader goals for the retreat and help them find ways to connect their updates to those themes. Prioritize the information that matters most right now and save the rest for some other venue or medium down the road. Make sure presenters are thinking like teachers imparting knowledge, not presenters listing data and factoids. Being clear from the outset on what you want your team to know by the time you leave will help prevent your top priorities from being washed away in a flood of information. Question 2: What do you want people to believe? A while back, I was at an annual company meeting during which the CEO unveiled the company’s new 5 Core Values that he and the rest of the leadership team had spent the last 6 months hammering out with another consultant. The 5 Pillars were nicely laid out on well-designed slides with all sorts of poster-worthy copy underneath. When I looked around the room I could see that although everyone now knew what the new Core Values were—nobody believed any of it. Knowledge and belief are not the same thing. Question 2 asks that we get real about what doubts our team might have. What experiences from the past might inhibit engagement in the future? What information might require a more robust argument or some candid discussion? How can we give our teams’ some time to kick the tires and build confidence in these new ideas? All the information in the world is meaningless if our people don’t believe it. The CEO above would have been much more effective if he had taken the time to make a case as to why these new values deserved belief. Question 3: How do we want people to feel? A successful retreat requires more than a happy hour and a couple icebreakers to get the real emotional impact you need to build trust and engage people in real change. If you’re worried your content is going to bore the team, it’s worth asking why it’s there in the first place. If it truly is important, there is likely an emotional aspect of the conversation to harness—don’t avoid it, embrace it! We humans do our best work when we are both intellectually and emotionally engaged. Thinking through our emotional goals for the retreat get you even clearer on the core purpose of your meeting and get your people actively involved. Question 4: What do you want people to do? I’ve been on lots of annual meetings filled with interesting information and vibrant discussion. Happy hours were well-attended and jolly. Participants seemed relatively satisfied with the time together! And when everyone gets back to the office they go right back to business as usual. What’s the point?! These meetings cost good time and money—they should have a real impact. They should move things forward. They should make a difference. So be clear about what the difference is that you’re trying to create from the outset. Whether it’s clarifying your priorities, making key decisions that drive execution, implementing more effective work practices, or deepening relationships to increase actual collaboration—be clear on the behavioral changes you’re hoping to generate and share them with the team right from the start. These 4 simple questions will help squeeze more juice out of just about any meeting. In most of my retreat and meeting plans, I include a simple 4-box table like the one below. to anchor me in the essential purpose of our time together. Leaders who plan meetings with these 4 questions in mind are creating something much more powerful than an event—they’re creating an experience. An event happens. An experience changes the way we think, interact, connect, and behave moving forward. And moving forward is what a great retreat is all about. For every Action you might take to make Change there is a countervailing force: Nothing. And especially, don’t fall into the trap of believing that choosing Nothing is somehow different from making a choice. Nothing is as much a choice as Anything else. I’m struck by how often the time and place that insight chooses to rear is not during the actual work itself. Great solutions rarely show up nice and tidy, conveniently scheduled for the precise moment we need them. Creating real and meaningful change, spurring innovation that separates you from the rest of the pack just isn’t a clean and linear process. At ESInc, we partner with leaders to create effective work cultures. So often, our clients trying to enhance their culture by making it more nimble, more responsive, more innovative. They know they have a team of competent smart people—but somehow, new ideas aren’t being implemented. Research – Change-oriented teams are curious teams. They are far more interested in what others know than what they already know themselves. New knowledge is the foundation for new results. Retreat – Innovative teams build in time to take a step back so they can take a bigger step forward. They take the time to explore new ideas and perspectives. They find ways to pull out of the hectic day-to-day world of execution so that they can recalibrate and aim for bigger leaps. Realize – Change oriented teams focus on possibility. When new opportunities emerge, change-oriented teams are naturally inclined toward action, collaboration, and prototyping. Change-resistant cultures focus on flaws and dismiss possibilities. 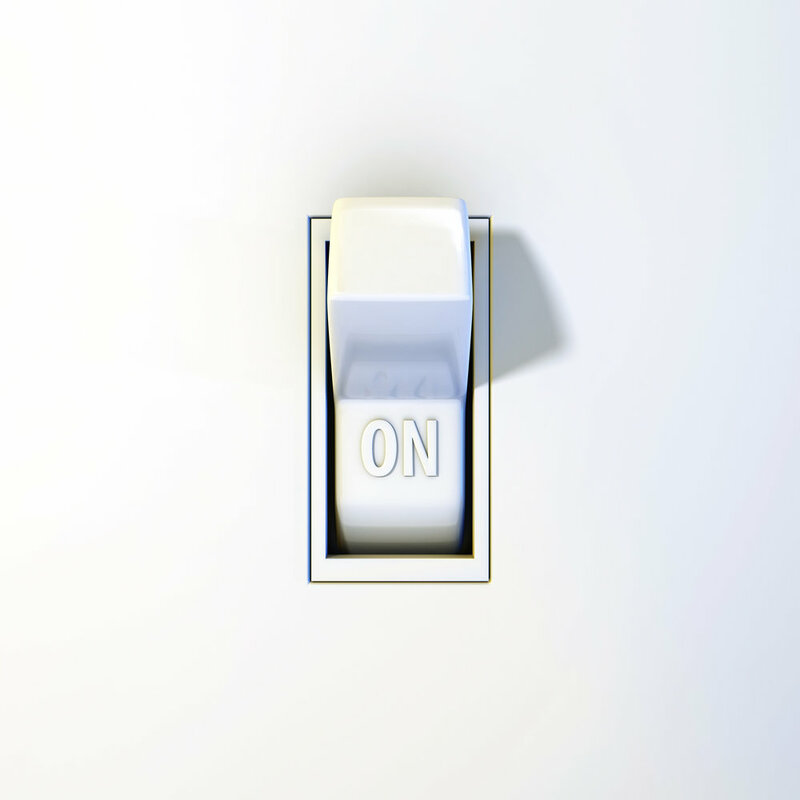 Reveal – Change-oriented cultures actually do something with their new ideas. They embrace risk, they don’t avoid it. This sort of work requires a culture that supports vulnerability and deals with mistakes in productive ways. This post is part of a series exploring all 4 disciplines and how they show up in organizational culture. Specifically, this time around we’re zeroing in on Discipline 3: Realize. Cultures that embrace this discipline excel at capturing and real-izing realizations. They have practices for capturing new ideas and building on them. When I ask people what they do after that brilliant 3 am realization hits, it too often elicits awkward silence. Many company cultures just don’t know what to do with new ideas—because they have nowhere to go, they go nowhere. Worse yet, many company cultures are all too practiced at shooting down new ideas. Cultures with a strong Realize culture have what we call a “Yes, and…” mindset. “Yes, and…” is a tenet from the world of stage improvisation. You may be familiar with improv from shows like Whose Line Is It Anyway or perhaps you’ve even seen a live improv performance yourself. Improv is a form of theater in which actors are not operating from a predetermined script. Instead, they are creating the show as they go, collaborating scene by scene by accepting an building off each other’s ideas. To do this effectively, improvisers are expected to “Yes, and…” each other. That whatever idea is offered on stage, it is the responsibility of all the other actors to accept that reality and to build upon it. And off we go! The audience understands a bit about this world the actors are describing—ridiculous and snail-deprived as it might be—and our story-building is underway. When improvisers say no on an improv stage, everything comes to a screeching halt—they ere not building to anywhere. Ideas die as quickly as they arrive and nothing happens. The whole operation is stuck. Change-resistant cultures have this same “No, but…” stuckness quality to them. Everything about the culture seems to run counter to a belief in new possibilities: there are no natural forums to bring up or discuss new ideas; when new ideas are brought up, the first response is to poke holes and explain why they won’t work. If the sentiment that we have a way of doing things around here, don’t mess with it isn’t said out loud, it’s certainly understood. 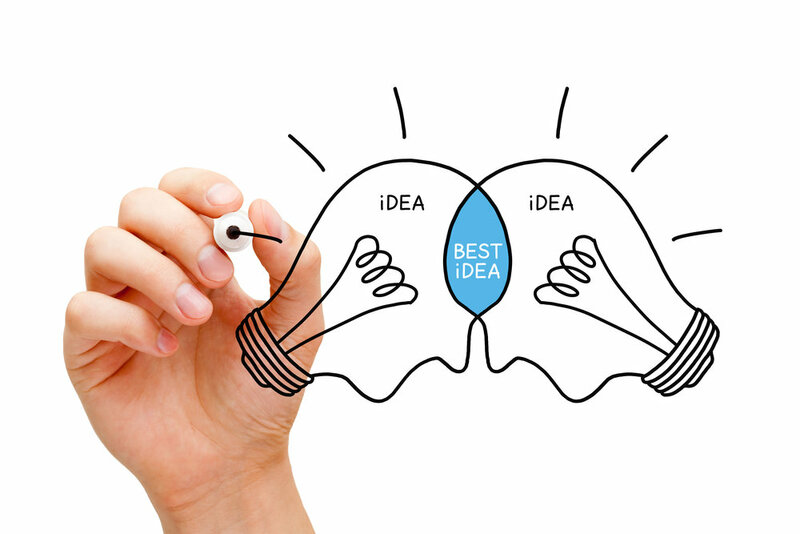 When faced with a new or persistent problem, we try to generate as many ideas as we can. Then we build on those ideas to see what new insights and possibilities emerge. It’s not unusual for us to fill conference room and hotel boardroom walls with post-it notes and flipchart sheets chock full of potential solutions and opportunities. Choose a challenge your team is facing. Generate 10 different ideas as to how to address that problem. Choose 3 of those ideas and “Yes, and…” them by taking 10 minutes to draft out a mini-plan building out each approach. Create an “idea box” or set up an ideas@yourcompany.com email address. Have a team meeting once a month to review and explore the very best ideas. Recognize when team members are reflexively shooting down ideas and call each other on it. Invite to have a short “Yes, and” conversation focussed on opportunity first. Promise that the second part of the conversation will look for flaws to address. Build a practice of capturing and valuing your own ideas. Start a running list in a file on your computer. Keep a notepad on your bedstand. Record voice memos on your phone. The medium doesn’t matter, just capture them! To realize great results you need to make of the most of the realizations on your team. Yes, and! Are you and your team working to be innovative, relevant, and exceptional? Have you tried “innovation initiatives” and task force work, but found that making measurable change is like steering an ocean liner in iceberg filled waters? If so, I have a secret for you: without the proper culture in place, almost every change or innovation initiative is likely doomed to failure. But you can drive meaningful change and move your organization forward if you focus on the culture first. With a culture oriented towards change, new initiatives actually take root and create new results. Research – Innovative teams are curious teams. They are far more interested in what others know than what they already know themselves. New knowledge is the foundation for new results. Realize – Change oriented teams focus on possibility. Change-resistant cultures focus on flaws and dismiss possibilities. When new opportunities emerge, change-oriented teams are naturally inclined towards action, collaboration, and prototyping. My favorite practice for this time of year is Retreat. The Fall is a great time to take a step back, evaluate what we’ve learned over the year and imagine what possibilities we might prioritize in the year ahead. Retreat demands that we take a step back from the go-go pace of everyday life. When we are too close, when we don’t stop and force ourselves into a different perspective, it is almost impossible to find new opportunities. Unfortunately, leaders often feel too busy to Retreat. It takes courage to take a break from the to-do list, but it’s essential to maximizing performance. It’s like the old saying goes, “If nothing changes, nothing changes. • Get out from behind the desk. Take breaks. Go for a walk down the halls or down the block. (Don’t stare at your phone while you do this—it defeats the purpose.) Make this a team norm by doing more walking meetings. • Get some sleep! Often, leaders consider a good night’s sleep a luxury they can’t afford. The truth is, if they’re going to find that breakthrough path forward—sleep is something they can not afford to sacrifice. If your team looks exhausted, be wary of lauding it as a battle scar to be admired. Instead, encourage your team to renew and refuel. • Get your team out of the office. A new setting sets the stage for new thinking. If you’ve been having the same conversation over and over in the same conference room, change the surrounding and the conversation will follow. • Use an outside facilitator for your next meeting. Running a meeting is just another to-do. It’s hard to steer the ship and gaze from the crow’s nest at the same time. • Schedule a real-deal, multi-day retreat. I’ve never heard a client complain that their year would have been more successful if “they hadn’t wasted time on that retreat”. When we invest properly in Retreat, it amplifies our results. So, here’s the most important question: What can you do today to use the power of Retreat to shift your own team’s trajectory? New results require new questions. The current issue (September/October 2018) of Harvard Business Review is called Why Curiosity Matters and I highly recommend it to anyone creating a change-oriented culture. The three main articles: The Business Case for Curiosity, From Curious to Competent and the Dimensions of Curiosity show how curiosity is vital to an organization’s business results and offers dozens of specific practices that are effective at developing curiosity in yourself and your teams. At ESInc, we partner with leaders to create effective work cultures. That almost always involve driving significant and meaningful change, but many team cultures are naturally resistant to a shift from the familiar—even when the familiar is ineffective. ◦ Research – Innovative teams are curious teams. They are far more interested in what others know than what they already know themselves. New knowledge is the foundation for new results. ◦ Retreat – Innovative teams build in time to take a step back so they can take a bigger step forward. They take the time to explore new ideas and perspectives. They find ways to pull out of the hectic day-to-day world of execution so that they can recalibrate and aim for bigger leaps. ◦ Realize – Change oriented teams focus on possibility. Change-resistant cultures focus on flaws and dismiss possibilities. When new opportunities emerge, change-oriented teams are naturally inclined toward action, collaboration, and prototyping. ◦ Reveal – Change-oriented cultures actually do something with their new ideas. They embrace risk, they don’t avoid it. This sort of work requires a culture that supports vulnerability and deals with mistakes in productive ways. HBR’s look into Curiosity taps right into the first of 4 Disciplines we believe are the hallmarks of a change-oriented culture. At Employee Strategies, we call this discipline of intentional curiosity that the Harvard Business Review explores Research. It’s one of the four disciplines – including Retreat, Realize and Reveal -- that I’m discussing in blogs this fall. So often, leaders tell me how frustrated they are that their teams keep having the same conversations over and over. Despite their efforts and various attempts at solutions, they keep reverting to the status quo. They’ll tell me that they just haven’t found the right solution yet, when the truth is that they have yet to find the right question. Research in our model is about taking the time to ask questions and find root causes rather than jumping to conclusions. It’s about adopting a learning mindset. It’s about holding off on forming an opinion and collecting as broad and deep a pool of information and perspective as possible. In a past professional life, I was named Chief Operating Officer of a mid-size nonprofit after more than a decade running the programming side of the organization. Suddenly, I was responsible for managing a multi-million dollar budget, producing and delivering financial analysis to our board and grantors, managing a benefits program, managing vendors and all the other operational functions. While I had many years of experience contributing to budget planning, I had no formal experience with major accounting and finance practices. I immediately went into learning mode. I met with my predecessor, our accountant, other COO’s and Executive Directors I knew. I found opportunities for training and education. I shifted my reading diet. It was overwhelming and intimidating at first, but as the months passed, all those bits of information made more and more sense. By the end of the year, I was receiving accolades from both the board and our CEO for bringing an unprecedented level of insight and analysis to the role. My depth of institutional knowledge from my previous positions was an incredibly valuable advantage, but would never have been enough to lead to success. I had to pair what I already knew with what I had yet to learn. But despite the obvious benefits of curiosity and Research, many work cultures don’t actively support it. Team members are not encouraged to ask questions and learn—instead, they are expected to know and act. The trap here is inevitable. First, in many organizations, people receive the implicit message that asking “Why?” “What if …?” or “How might we …?” is an unwanted challenge to authority. They are subtly or directly encouraged to focus on their work without looking closely at the entire process or overall company goals. As a leader, it’s your responsibility to create a culture that allows for curiosity and in exchange, you will solve customer experience, entangled “micromanagement” and process improvement issues much more effectively by hearing the questions and solutions from everyone. Second, when we’re overwhelmed with our day to day responsibilities, we stop taking in new information. We feel like we don’t have the time get curious. Especially for people who are well established in their careers, it’s possible that we may be over-relying on our past experience and what we think we already know. We live in a time where the rate of change is growing exponentially. The same things that have helped us succeed and thrive so far just might not be the things we need to continue to do so. Everyone needs to take time to research ways to work better. • Model a Research approach when working with your team to solve problems. Defer sharing your opinion and ask more questions. • Regularly solicit perspective from customers, partners, employees, and peers. • Encourage team members to invest in learning experiences. Designate a budget for learning conferences, trainings, classes, books. • Read. Listen to audiobooks and podcasts. Some companies I work with have even started book clubs that meet for lunch and discuss how to apply their learnings to their work. • Check in on your competition. Instead of regarding them as foes, think of them as teachers. What can you learn from what they are doing? Great breakthroughs don’t start with brilliant answers, they start with the right question. So what are you most curious about now? Andy Zimney is a Senior Culture Advisor and Team Performance Coach at Employee Strategies, Inc., a boutique firm that partners with leaders to develop highly effective cultures that drive outstanding results. Contact ESInc to learn more about how they can assess your current culture and help design customized and effective culture development plan for your team. If you were to create a cartoon version of your culture—exaggerated the way people show up in meetings, the way they communicate, how they articulate or don’t articulate priorities and values—would it make you better or worse? Would the result be an Avenger’s comic book or a Dilbert comic strip? If you’re not excited about the exaggerated version of yourself, maybe it’s time to invest in some changes. I often compare the drivers of company culture to those underwater jets in a lazy river ride at a waterpark. Most of the time, we’re unaware of their presence. We don’t think about our culture regularly. We simply show up and let the established current take us along. Every once in awhile it’s useful to take a step back and ask ourselves, “Is this river ride taking us where we want to go?” Are we traveling somewhere that gives us a meaningful result or are we just floating around in circles—always coming back to the same issues, the same conversations, the same frustrations? Exaggerating the current norms is like cranking up the pressure on those water jets. We can see a little more clearly where they are pushing us and—if we’re not satisfied with the apparent destination—re-orient them. Do you like the cartoon version of your team? What does it tell you about the real-life version? At ESINC, we like to refer to ourselves as a “culture investment firm.” Every day, we help teams get a little clearer on the current value of their “culture portfolio" and the returns they are likely to see in the future. We help them see where the water jets are pointing them and how to adjust them when necessary. Because just like your financial portfolio, an intentionally designed culture portfolio gets you a better return. We love to complain about meetings, but the truth is that meetings are the lifeblood to much of our work. Using meetings productively and efficiently can be instrumental to keeping critical projects on track—and even more essential to a project that’s fallen off the skids back online. What can make meetings challenging is that they don’t run on systems or software or mechanics—they run on people. Every business ultimately depends on the interaction of real-live human beings—humans with complex brains, diverse abilities, and sophisticated (and sometimes messy) emotional lives. Those complicated human beings are simultaneously your greatest asset and most challenging liability when it comes to building a great organization—and nowhere is the dynamic more on display than in your meetings. As a management consultant, I can tell you that I can get a decent sense of how effective any organization or team is simply by sitting in on one of their meetings. So given how vital effective meetings are, it’s notable how little time we actually dedicate to developing the people skills and systems to make the most of them. That’s why some of the most rewarding work I do often comes down to helping teams make their meetings as productive as possible. 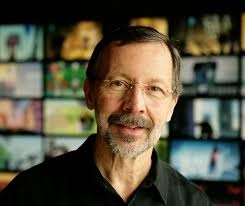 Ed Catmull is the co-founder and president of Pixar—the incredibly successful production company responsible for groundbreaking films like Toy Story, Finding Nemo, and Up. Like any company, Pixar has had its share of challenges. There were years of work advancing their story-telling and animation skills and technology before they achieved their first box office success in 1995 with Toy Story. They also had to learn to navigate the same management pitfalls that any rapidly growing organization needs to traverse. In his book, Creativity, Inc.: Overcoming the Unseen Forces That Stand in the Way of True Inspiration, Catmull recounts many of the management lessons and breakthroughs he learned as they grew Pixar from a small division within a graphic imaging company for medical devices into the Hollywood powerhouse they are today. One of the challenges was, predictably, how to have effective meetings. We’ve all experienced less than productive meetings. The maladies are numerous: unclear objectives, poor time management, the inadequate capture of outcomes, dropped communication after the meeting, etc. I’ve written about many of those themes in the past and will again in the future. But in this post, we’ll focus on a particular meeting objective: How do we use meetings effectively get a project that is not on the mark back on track? What Catmull and his team developed at Pixar was a special sort of meeting for this purpose—something they came to call the braintrust . At Pixar, a braintrust is called situationally—whenever a movie doesn’t seem to be working quite right in one way or another. Catmull’s book is filled with lots of great anecdotes about the behind-the-scenes issues that tripped up the makers of many of your favorite movies: a scene may not be having the emotional effect that it needed, a character might seem bland, an action-sequence might be leaving audiences confused and overwhelmed, or a bit of animation might not be coming across as realistic. Whatever the problem, the folks at Pixar would frequently call a braintrust to get it back on track. The attendees of the braintrust varied depending on the situation—the primary criteria was as simple as this: Who has got a good head on them and might be able to make some contribution to solving this problem? Almost always, the director and producer were in the room, but not because of their rank—in fact, rank should be eliminated in the braintrust (more on why this is the case a little later). What matters most is that all the attendees are invested in making things better and have perspective that might be useful. 1. The braintrust has an expectation of absolute candor. 2. The braintrust has no power. First, let’s talk about candor. Candor has a very specific meaning. It’s subtly different from honesty. The word “honesty” comes with loads of moral implications and the defensive baggage that can accompany it. “Can I be honest with you?” will almost instantly get anyone’s hackles up. It can be akin to warning someone to suit up with their emotional armor—whatever follows is likely to hurt. Candor, on the other hand, implies directness and clarity. It means that whatever I’m about to say I believe to be true and can be of some use to you. Setting an expectation of candor from the very beginning frees up participants to bring their best stuff. As a meeting facilitator, letting participants know explicitly that your expectation is that they not withhold or candy-coat, you’re much more likely to get valuable perspectives on the table. Of course, actually achieving candor requires more than just stating the expectation. Teams must constantly reinforce the expectation by restating it on a regular basis and affirming the courage of expressing a candid opinion, especially when it is an unpopular one. Candor is not automatically achieved, but it is paramount to achieving a highly successful . The second essential element of the braintrust is also a subtle shift in expectations and just as critical as the first one: The braintrust has no power. That means that no decisions will be made during the braintrust. While removing decision-making power might seem counterintuitive to a productive meeting, it’s actually essential and here’s why: without a prohibition against making decisions during the braintrust, the director or other key participants can’t help but spend precious meeting time defending what’s already been done. It’s virtually impossible to listen and defend at the same time. By relieving the of any power and deferring and delegating decisions to the key responsible parties at a later time, all participants are able to listen more effectively. Relieved of the concern that the process is going to get overtaken by consensus or the loudest voice, there is no need for the director to defend or to argue. With this protection of his or her authority and autonomy in place, the braintrust paradoxically allows them to be much more vulnerable. They still retain their role as the primary decision-maker, but now they will make their decisions with a deeper understanding of more diverse perspectives. Simultaneously, this deferment of judgment also promotes more candor from the whole group. The focus of the meetings centers on and direct communication of insights. Nothing reinforces a willingness to be candid the experience of others receiving your viewpoint with open minds and ears instead of the usual rebuttals and push-back. Don’t get me wrong, many meetings could benefit from more closure and more decision-making. In certain situations, however, it’s often far more productive to delay the decision and focus on creating the most constructive debate possible by sharing as many diverse opinions as possible. Sharing information to raise the awareness of the team. Discussing a situation for the purpose of achieving a decision and resolution as a team. Gathering input and perspective from the team so that one of its members can make a better-informed decision on their own. Unfortunately, most teams don’t clearly articulate which of those 3 buckets each item on their agenda is falling into. The resulting situation is ripe for confusion and wasted energy. Jane may start the conversation wanting only to raise the awareness of the group. Jose responds assuming that Jane brought the information forward so that they could make a group decision. Jerry eats up 10 minutes of the 30-minute meeting sharing his thoughts thinking that he’s being helpful, while Jane is starting to panic as more and more chefs pile into her kitchen. All Jane wanted to do was provide a quick 60-second update. 30 minutes later the team is still discussing—unclear about what their real objective as in the first place. The braintrust works because it makes it clear from the very beginning that it is an agenda of the third kind: This is Jane’s call. She is going to make it later, not during this meeting. We’re all here to equip her with as much insight as we can so that she can make the best decision possible. By removing the braintrust of power, we temporarily disrupt the counter-productive hang-ups that can come with rank. We tend to equate rank with titles when titles actually communicate two separate pieces of information: rank and role. Roles describe what I do and what I’m responsible for. Rank describes how my importance compares to your importance. When it comes to chain-of-command decision-making, rank can be a very useful piece of information. For example, in most companies, it is important for a director to understand that a CEO has the prerogative to overrule a director’s decisions. Of course, any CEO should be intentional about how and when they exercise this rank, but still, the authority is always there and it’s valuable for all parties involved to understand it. But when it comes to promoting constructive and candid conversation in a braintrust, rank can become a liability. Participants of lower official rank may be hesitant to share candid opinions, especially unpopular ones if they are afraid they might diverge from higher ranking participants. On the other side of that coin, high ranking participants can sometimes withhold valuable perspective for fear that lower ranking members will be overly deferential and adopt the high-ranking opinion—even if it was not the best one on the table. For these reasons, all participants must work to shake off the hang-ups that might come with their titles. High-ranking members should remember to call on and encourage participation from everyone in the room—actively inviting opinions contrary to their own. Lower-ranking titles should be mindful of the expectation for candor and be willing to take the risks it requires. No matter what work you’re in, we all benefit from the wisdom within our teams—and effective meetings are key opportunity to leverage that wisdom. There is not one among us who has the best answer—everyone on the team likely has a part of the best answer. Using the practices of the braintrust can be transformational when it comes to using the diversity within your team most effectively. Of course, your ability to leverage the braintrust will be a reflection of your team’s strengths: trust, respect, leadership, accountability, communication, camaraderie, etc. These are skills that can be both utilized and developed in the braintrust and in every other interaction as a team. The most effective teams identify systems and initiatives that actively hone and develop these strengths because the outcomes of your projects depend on the effectiveness of your teams. We've all had that experience where the plans and goals we set seem to be obsolete within minutes of walking out of the conference room. We all know that today's fast-paced and ever-changing world requires that we adopt strategies and practices that are more dynamic than ever. Without the proper mindsets and skill sets, teams often get stuck in a world of confusion, false starts, and frustration. If your team would benefit from developing a more innovative and productive approach to creating valuable outcomes, I want to invite you to the PEN Breakfast on Sep 7 where I'll be presenting on the Improviser's Strategy for Creating Value. It's been a very busy Summer with our great team over at Employee Strategies, Inc. over the last several months facilitating leadership retreats, leading strategic planning sessions, and keynoting with some amazing clients. I don't get to present this work in a public setting very often--so I hope you or someone from your team can join us! For more information visit PEN's website. Or to register, contact Brian Lassiter at brian.lassiter@performanceexcellencenetwork.org. As you know, I often talk with leaders and teams about creative leadership and the innovative process. Creating meaningful change requires determination, courage, and an ability to recognize a great opportunity when it presents itself. That’s why I’m excited to write to you today about an exciting opportunity that recently presented itself to me. A few weeks ago, I accepted an invitation to join forces with the team over at Employee Strategies, Inc. (ESI) and have accepted a position as a full-time consultant with their firm. J Forrest founded ESI over a decade ago with a vision to help transform workplaces into environments where people can be their best selves and do their best work. I’ve know J for years and am excited that we’ll get to work even more closely together. ESI’s point of view is very much aligned with the vision of Leading Off the Cuff. It’s a belief that organizations are organisms, not mechanisms. They are driven by human beings trying to create meaningful impact for other human beings. The team at ESI provides leadership development experiences, retreats, culture assessments and strategic planning to businesses and organizations from a variety of sectors and I couldn’t be happier to join a team of such like-minded consultants, coaches, and facilitators. In the meantime, the mission of Leading Off the Cuff is not going away. There are a handful of projects I’ve been working on under the LOC banner that I’ll be finishing up over the next few months (many of those with people on this mailing list). I hope to continue to post on the Leading Off the Cuff blog about creativity, productivity, and doing work that matters. You’ll continue to see me at many of the same events as an attendee, presenter, or volunteer. As always, if there is anything I can do to help support you and your team in doing their very best work—whether it’s developing more impactful leaders; training teams to work more creatively, productively, and collaboratively; or strengthening the culture of your organization, please drop me a line. I’d be happy to explore how I (and now, the rest of the ESI team) might be able to support you. This email account will stay active or you can reach me at my new address, andy@esinc.mn. Or call me at 651-253-7515. Or drop by the ESI office on the 3rd floor of the Calhoun Beach Club building for a great cup of coffee, a beautiful view of the lake, and some meaningful conversation.